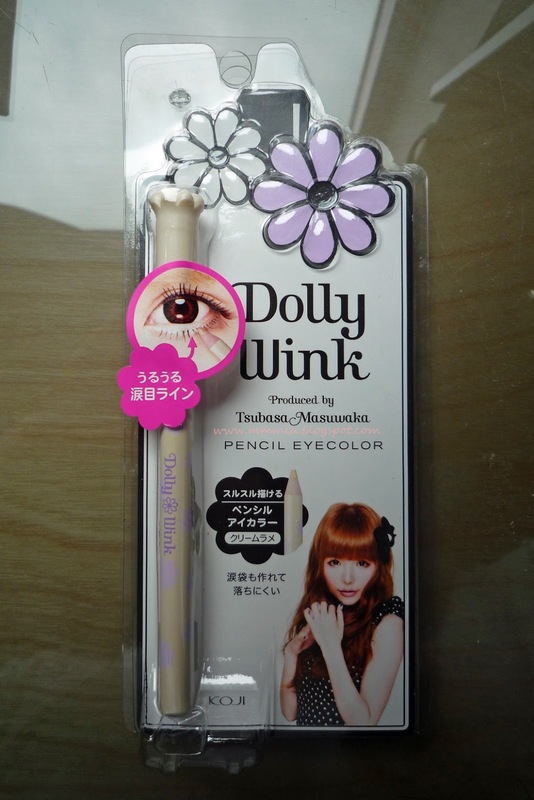 For the longest time, Adambeauty didn't have the Dolly Wink Pencil Eye Color in stock, but I finally got it! This is a smaller version of regular pencil liners used for highlighting along the lower lashline or waterline. 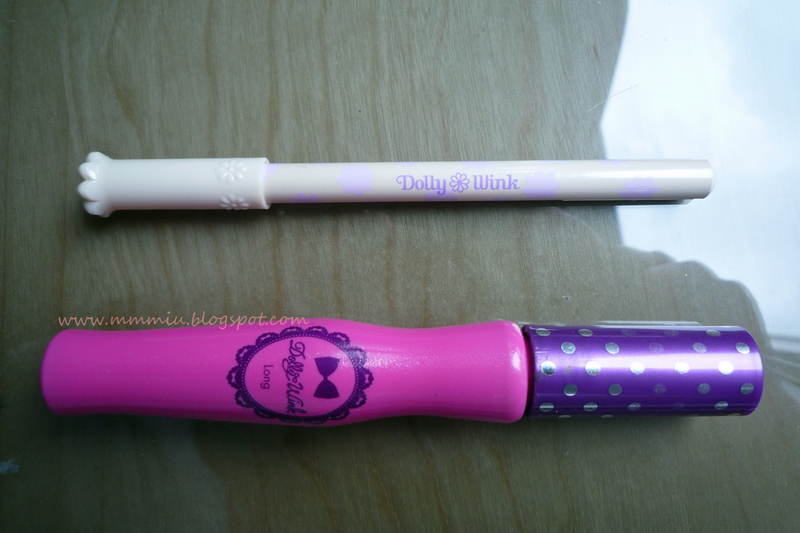 The size is similar to the Dolly Wink mascaras. The smaller size didn't matter too much since I only need very little to highlight anyway. The texture is fairly smooth, but sometimes I have to warm it up on my hand before applying. It only comes in one color which is a golden champagne color. 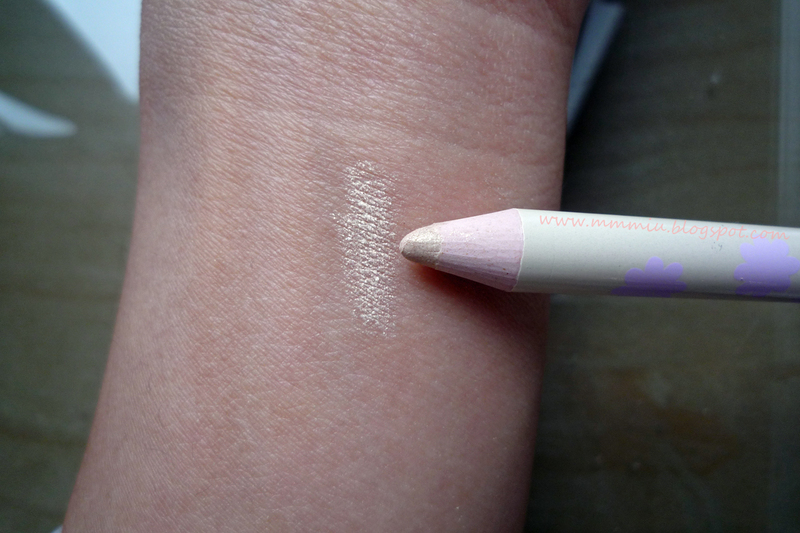 I can never get color to stay on my lower lashline/inner color and was very happy that this pencil stayed put all day! When I first tested it on the back of my hand, the color barely even came off when I wiped it with a tissue, even when I rubbed really hard. Amazing stuff. On my eyes, it appears a little bit more gold than champagne, probably due to my skin color. Overall, it's an amazing product to use for highlighting, especially if you have oily eyelids or your eyes tend to water easily. I also went to Hawaii a couple weeks ago and stopped by the duty free shop in Honolulu. It's like makeup heaven!!!!!!!! Even if some of the brands didn't carry the whole collection, it's so cheap in my opinion...no Canadian mark ups! I was very excited to see the Paul & Joe counter. 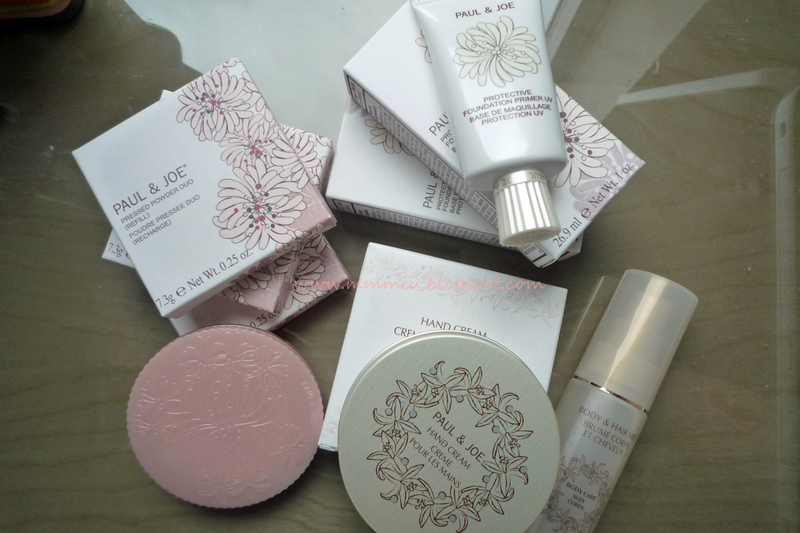 Even though they didn't carry the full line, I still managed to grab a bunch of products: body and hair mist, hand creams, pressed powder duos plus a case and some protective foundation primer uv. The scents brings back so many memories of Hong Kong and Korea back in 2008-2009. I've never seen P&J so cheap so I made sure to stock up!